A new generation of pavement sealer. Eco-friendly, and safe to handle. No Refined Tar, No Asphalt. Non-hazardous, easy to use, cleans up with water. Dries to a rich black color, with a pleasant textured appearance. Resistant to de-icing salts, gasoline, oil and other petro-chemicals. Fast drying, tough, durable and exible. 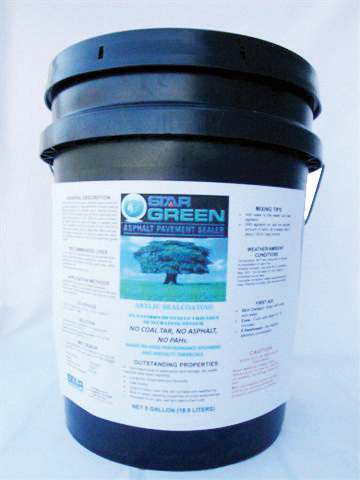 Ready to use, no additives, sand or dilution necessary.